This is the story of a new life, in a new country with a successful new business. 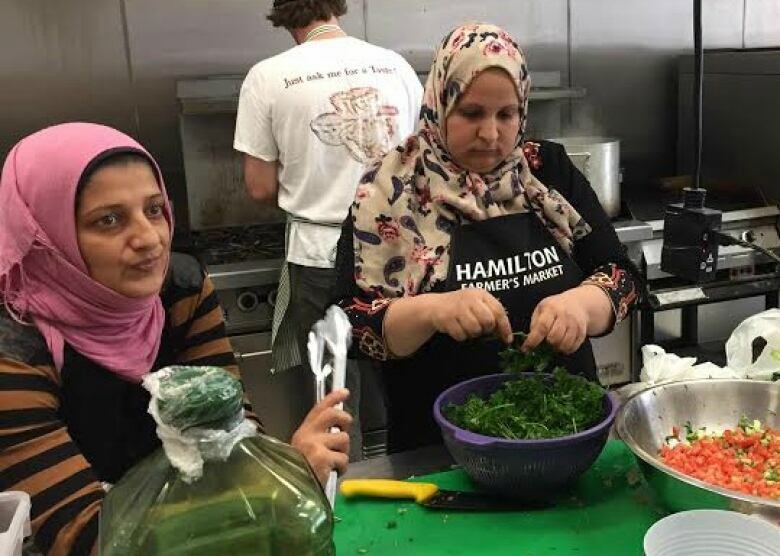 It starts in the kitchen where three Syrian refugees created a catering company to bring the taste of home to Canada. Dalal Al Zoubi, Manahel Al Shareef and Rawa'a Aloliwi have all lived through hell. The three women are from Syria, and they fled their country when the war began to destroy their lives. "Everything in Syria was no good. Everything was fire and bombs," says Dalal. The teacher and her husband fled with their four children to Jordan, where they could barely eke out an existence. So when Canadian Immigration called to ask them to come to Canada, "We said okay!" she laughs. Manahel and her husband Faisal also spent time in Jordan before arriving in Canada. They fled their home city of Daraa after Faisal was hurt. "My husband went to check on his mother, and there was an air strike. He hid behind a house to wait it out. The building was hit, and he was buried under the rubble for hours," Manahel says. It took six men to free him. But with serious injuries, the family eventually fled to Jordan to seek medical treatment. From there they were offered refugee status in Canada. 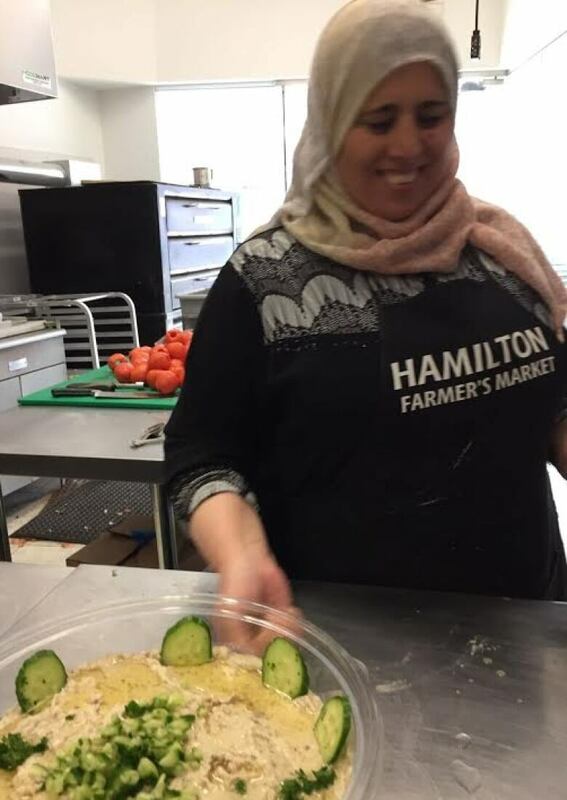 Last winter, the women ended up being housed in a Toronto hotel, along with Rawa'a, another Syrian woman who had escaped the war with her family. All three families decided to settle in Hamilton, Ont., and that's where they met Brittani Farrington. Originally from the U.S., Brittani was helping refugees new to the city. Her church wanted to throw the newcomers a welcome dinner. "When I asked Dalal, she said 'yes ... but we want to cook! ', says Brittani. From that first dinner,Karam Kitchenwas born. 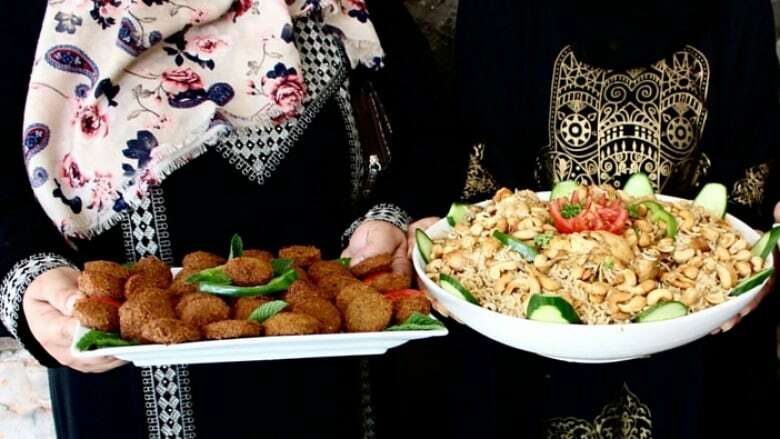 It's a catering company that serves traditional Syrian dishes. The business has taken off, and they are hoping to grow and hire more Syrian women. Brittani recognizes that these women have left everything behind. "I would like Karam Kitchen to be to the women what they want it to be. Either their long-term career or a launching off point." Right now all the women are just happy to be working. "For me it is good. I feel happy I work in Canada, " Dalal says, smiling. ​This documentary was produced by The Current's Lara O'Brien and documentary editor Josh Bloch. Special thanks to Pacinthe Mattar for translation and voice work. Slice green cabbage thin. Add to a salad bowl. Chop mint finely and mix in. De-seed a pomegranate. Add half of the seeds to the salad bowl and reserve half for garnish. Create a dressing with olive oil. Mince garlic and combine. Cut lemons and add juice. Sprinkle sumac. 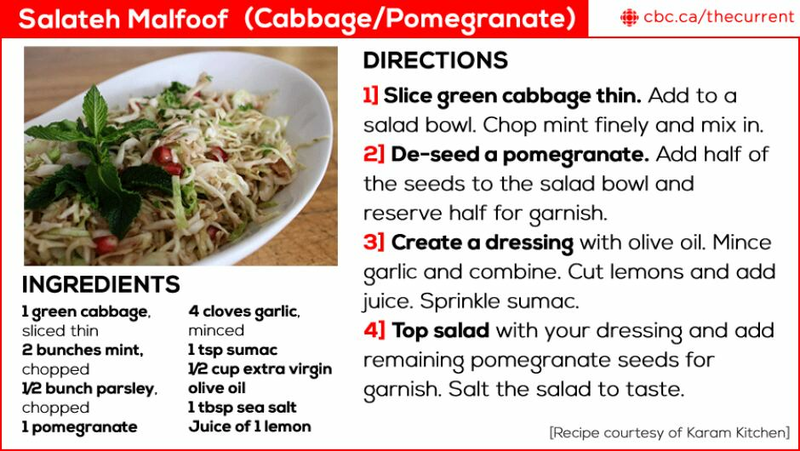 Top salad with your dressing and add remaining pomegranate seeds for garnish. Salt the salad to taste.